Chisholm, Hugh (1911). 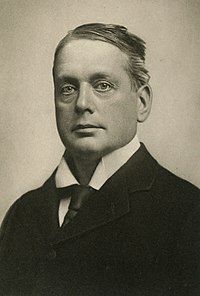 "Rosebery, Archibald Philip Primrose, 5th Earl of" . In Chisholm, Hugh. Encyclopædia Britannica (in English). 23 (11th ed.). Cambridge University Press. ^ "Rosebery, Archibald Philip Primrose, Earl of. (RSBY888AP)". A Cambridge Alumni Database (in English). University of Cambridge. ^ 神川信彦 2011, p. 265. ^ a b c d e f 神川信彦 2011, p. 429. ^ a b c 中村祐吉 1978, p. 25. ^ 神川信彦 2011, p. 430. ^ a b 中村祐吉 1978, p. 27. ^ 中村祐吉 1978, p. 28. ^ 中村祐吉 1978, p. 28-29. ^ 中村祐吉 1978, p. 29. ^ 中村祐吉 1978, p. 29-30. ^ 中村祐吉 1978, p. 30-31. ^ 中村祐吉 1978, p. 31. ^ a b c 坂井秀夫 1967, p. 331. ^ 中村祐吉 1978, p. 35. ^ 中村祐吉 1978, p. 24-25. ^ 坂井秀夫 1967, p. 338.